Studying abroad as an international student comes with the challenge of always having to answer why you want to return to your country and intern there or work there. It is even harder to justify coming home over university holidays because summer time in Toronto is winter in Zimbabwe. The Zimbabwe Career Connect Internship program provided me the opportunity to come back home and work at Mpilo Hospital in Bulawayo. ZCC has been more than an internship opportunity, but also an eye-opening experience. After spending years studying outside of Zimbabwe, it becomes easy to assume the same things that others out there assume about our country. Working at Mpilo has opened my eyes to the vast range of effective working professionals we have in Zimbabwe. During my first week I was in awe of the fact that our country has plastic surgeons who perform cosmetic and reconstructive surgery. I was lucky to participate in the surgeries and help where I could. It was interesting that I found myself being able to apply concepts I have learnt in class in determining what could possibly be wrong with a patient. It dawned on me that education is more than just regurgitating information given in class. Education is meant to enable one to understand the implications of what is learnt, why it is important to comprehend certain concepts and most importantly, how it all affects the people and the world around us. The ZCC internship has become more than just learning how a hospital works, but I have also been afforded the opportunity to learn more about my home city Bulawayo, in terms of the health resources we have and lack and also the health specialists I never knew we had. All of my life I have always yearned to be a neurosurgeon and in my mind I thought I would have to leave Zimbabwe or at least travel to Harare to learn and practice the profession. I never thought Bulawayo had a neurosurgeon only to learn that a full neurosurgery department now exists at Mpilo. Working with the neurosurgery team has afforded me the opportunity to also network with a respectable neurosurgeon in the city and his team. The team has been very welcoming and friendly, and I have always felt like one of their own instead of just a temporary student intern. It also has helped that the hospital staff has extended a warm welcome and view me as part of the Neurosurgery Team to an extent that everyone forgot that I am leaving after two months with them. Although my mentor is not a Neurosurgeon himself but training in general surgery, his style of mentorship has ensured that I have had the opportunity to explore my professional passions. My mentor has let me explore other medical departments to such an extent that I have seemed more like an employee fresh out of medical school doing rotations than a pre-medical student trying to decide if medicine is truly where I want to devote my life. In addition, my mentor has allowed me to work in his NGO (Smart Teens Zimbabwe) ,so that I have been able to further nurture my artistic and oratory sides and I continue as a writer and a youth mentor. This experience has led to an unexpected realization which calmed the fears I had about becoming a doctor. Seeing my mentor being able to be a surgeon while also running Smart Teens Zimbabwe, an initiative that aims to empower girls in the community, has helped me realize that I can become a doctor and continue to follow other passions and activities. I can still be a mentor, continue my writing and aid in NGOs that seek to develop youth. All of these lessons from the two month ZCC experience has made me value having returning home as I have learnt so much more about who I can be, how I can contribute to my community and the world around me, than I would have in typical classroom setting. 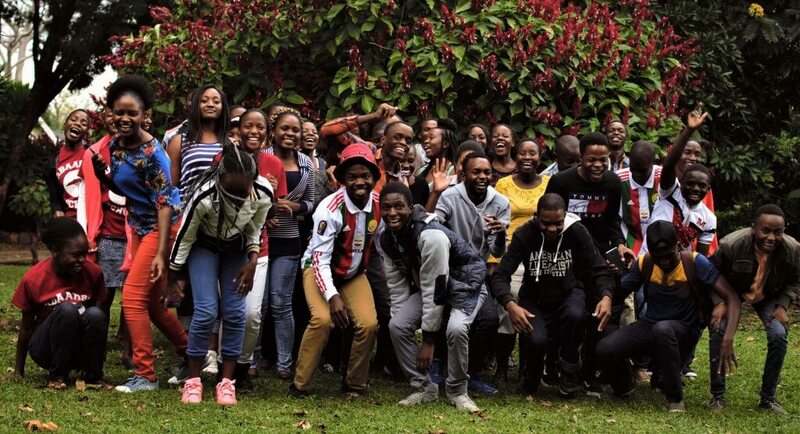 Written by Zimbabwe Career Connect intern Charmaine Nyakonda who is studying at the University of Toronto.